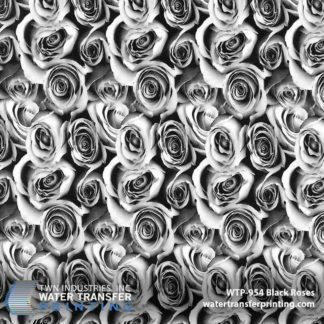 TWN is pleased to add a new pattern, Black Roses, to our ever-expanding collection of designer Water Transfer Printing films! 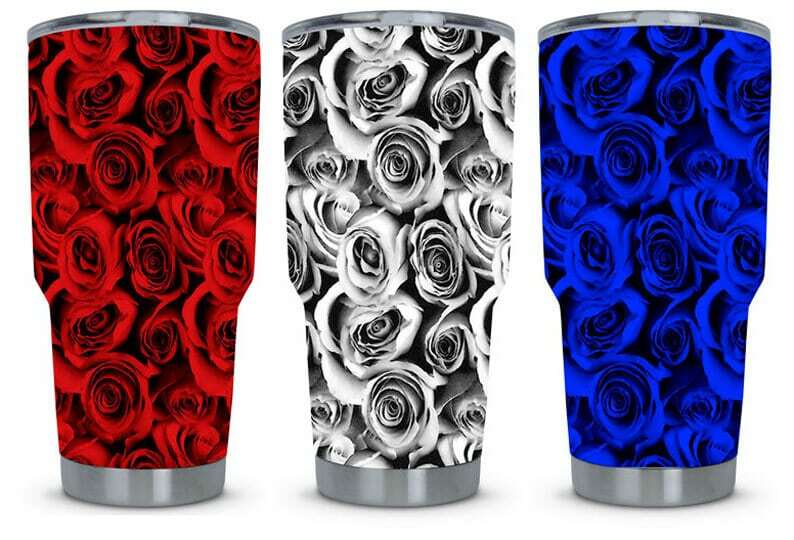 This pattern features a realistic rose pattern that can be customized with any of TWN’s base coat colors. A rose is considered to be a symbol of balance. TWN Industries created this black and white rose pattern to appeal to both men and women. 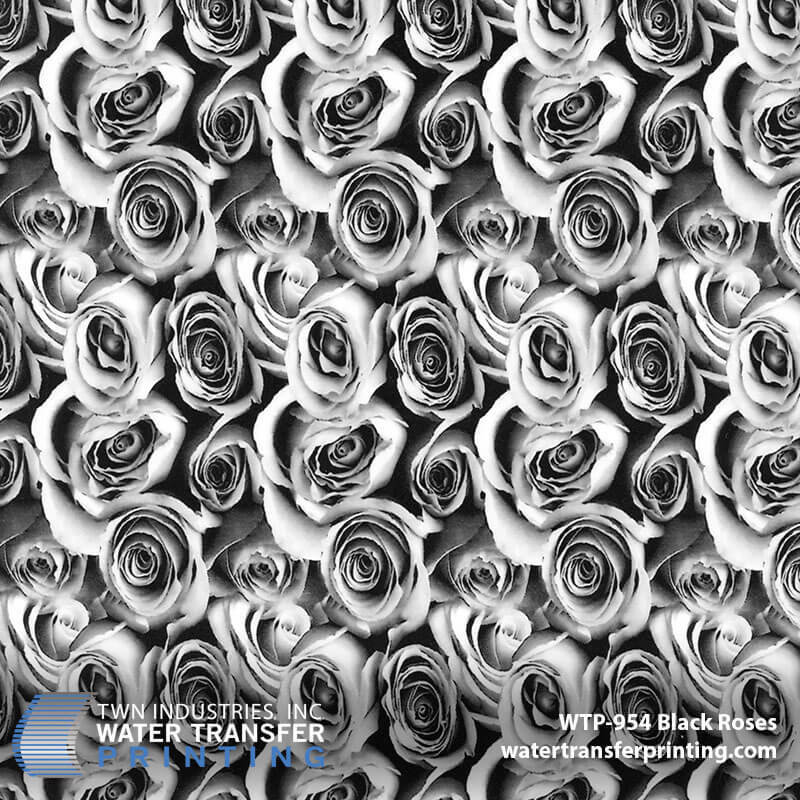 WTP-954 Black Roses is a great addition to our line of women’s Water Transfer Printing films because it can be used with pink, red and yellow base coat colors. We didn’t forget about the men however, our Black Roses pattern is still masculine enough to be used on your motorcycle’s gas tank. After all, based on our research, the traditional red rose signifies power. Black roses is also a great pattern for Valentine’s day projects for that special someone in your life. Any color, any object. Our black roses hydro dipping film is the perfect pattern for your next project! Each color from a rose offers a distinct meaning that not many people know about. For example, a blue rose signifies mystery and longing to attain the impossible. White roses symbolize humility, devotion, and spirituality. The traditional red rose stands for the ultimate expression of love but also power. At TWN, we try to bring as much creativity and inspiration to the Water Transfer Printing industry. We hope this new rose pattern inspires creativity in your own projects! Want to customize your motorcycle, seasonal, or everyday items in our Black Roses Water Transfer Printing films? We have a network of over 1,400 TWN Certified Processor who can dip your gear!